A Good Idea or Just Chasing Profits? If you listened to this show regularly over the last couple of years, you have heard me mention the FANG stocks. This is an acronym for the four best performing large-cap technology stocks that led the market in 2015. 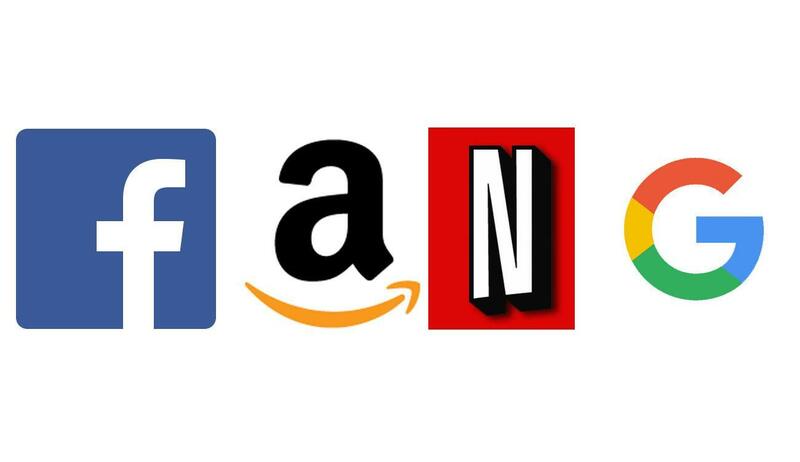 Facebook, Amazon, Netflix, and Google were just about the only stocks to make any money in the 2015, and also skewed the indexes up for that year. In 2015, Facebook rose over 34%, Google over 44%, Amazon over 117%, and Netflix a staggering 134%! However, that was 2015. Since then, all four of the FANG stocks have continued to rise, but not at that meteoric rate they rose in 2015. In investing, one of the most common mistakes that people make is called chasing profits. This means they see something that has had a big run up, and then they decided to buy it. Unfortunately, many times this is the exact wrong time to buy something, as the run up has already happened. This isn’t always the case, but more often than not it is. What prompted me to talk about chasing profits and the FANG stocks today was a new ETF released this week by AdvisorShares under the ticker symbol FNG. In fairness, this ETF isn’t just holding the four FANG stocks, it is an actively managed ETF that invests in technology companies that the manager expects to outperform the broad market, much like the FANG stocks did in 2015. I actually really like the concept, although it doesn’t sound too much different than XT, the Exponential Technologies ETF released a couple of years ago. I just found it really ironic that they decided to use an acronym that is 2 years old to name an ETF that seeks to invest in cutting edge technologies. Hopefully their stock picking is more up to date than their acronym picking.